These are some of the cutest shorties I have every made. 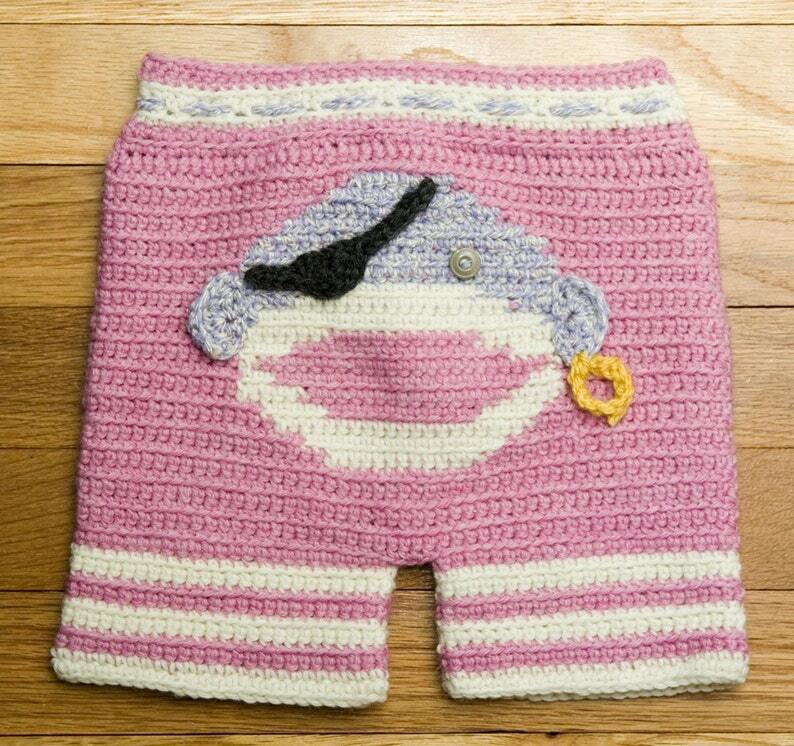 This sock monkey shorties pattern comes with directions for a few different accessories that you can pick from to personalize your little one's monkey: pirate patch and earring, bow, beret, and mustache. Of course, you can design your own too! It is written for sizes x small to x large (appx. 0-3 to 24 months). Rise and length of legs are adjustable. This listing is for the PATTERN only!